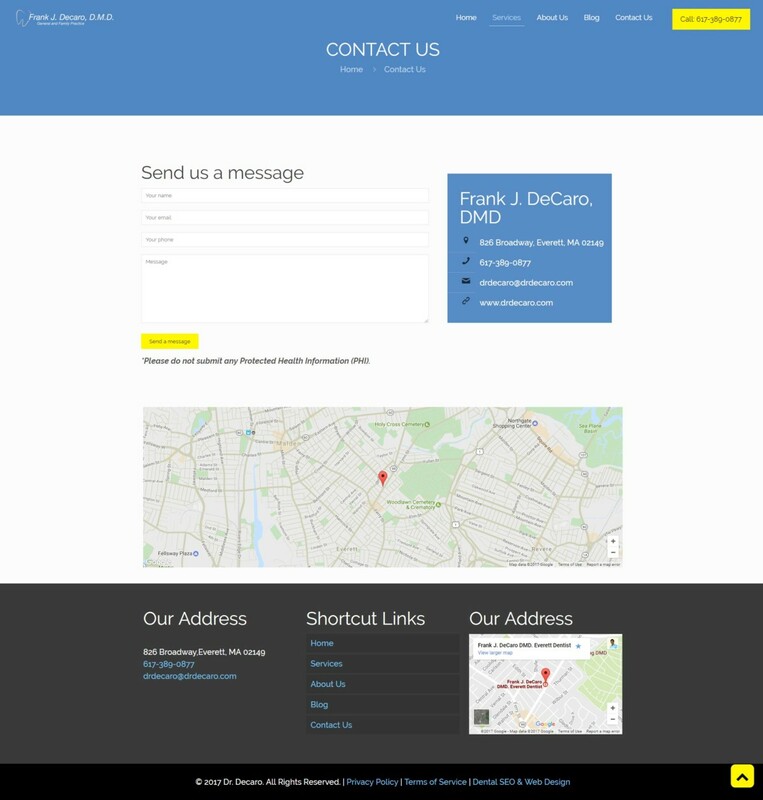 Up And Social’s latest dentist website overhaul was for Frank J. DeCaro, DMD. 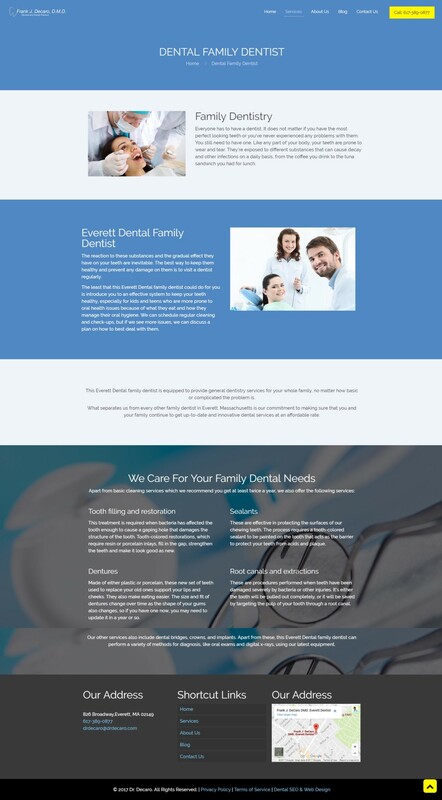 We transformed his website into a space that effortlessly conveys his services, values as a dentist, and information in a way that is user-friendly and convenient. The fresh, inviting design is complete with easy-to-read fonts and an aesthetically pleasing color scheme. The interactive nature of this website allows for users to easily navigate and gather the information they need to learn about Dr. DeCaro, understand what the office is like, and contact them when they are ready to book an appointment! We did this so it would encourage prospective patients looking for a new dentist to join Dr. DeCaro. Current patients also have the opportunity to book appointments right on the site, making their day-to-day activities a little bit simpler. This website was designed with the patients in mind. All of the features promote Dr. DeCaro while allowing prospective and current patients alike to interact with Dr. DeCaro and his team. Our goal for this job was to incorporate all of the values that the practice holds. We did this through making the site clean, friendly, thorough, and informative. At Up And Social, we pride ourself on collaborating with our clients to make sure we understand their vision. Once we are on the same page, we use our expertise to bring that vision to life. This allows for a wonderful collaboration that is extremely beneficial to our clients’ small businesses and practices. If you are interested in working with Up And Social to improve your online presence, contact us today!